When you are visiting Paris, it is use to visit museums.But did you know that it is possible to visit the museums at night or in the evening when most visitors are gone? Here is a list of Parisian museums to visit at night or the evening during the year. On Thursdays: the Museum of Modern Art and the Luxembourg Museum are open until 10 pm, the Musée des Arts et Métiers until 9.30 pm, 9.45 pm for the Musée d’Orsay or 23 pm for the Center Georges Pompidou. 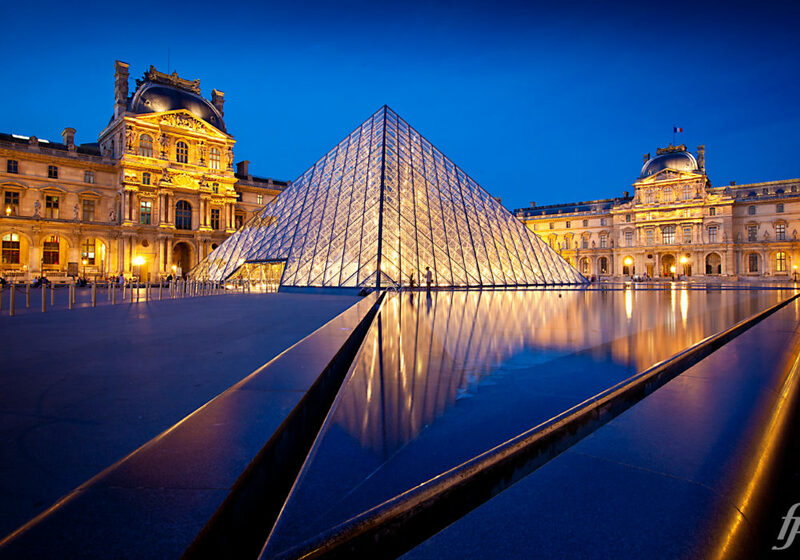 Friday: The Louvre is open until 10 pm, the Musée Maillol until 9:30 pm and the Musée du Quai Branly until 9 pm. Saturday: The Jacquemart André Museum is open until 9:30 pm and the Quai Branly Museum is open until 9 pm. Sunday: The Cinematheque is open until 8 pm. Please note: during the European night of museums on 20 May, it is possible to visit many museums all night long.